FC Barcelona Lassa earned a convincing win over Baskonia on Sunday night (84-92), bouncing back from the recent Euroleague defeat to Panathinaikos. The loss to the Greek side seemed to give Barça that burst of urgency right from the off. Doellman, Faverani and Koponen, with four points each, were the brightest blaugrana players in the opening quarter which saw the team narrowly fall behind by one point (21-20). 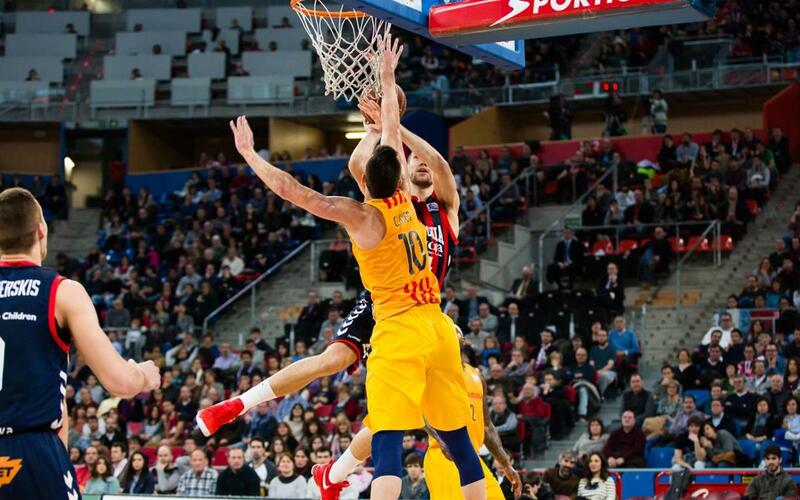 Though Baskonia scored the first five points of the second quarter, Barça began to turn things around thanks to the fine work of Tomic and Claver. Bartzokas’ men got into a good rhythm and managed to turn the game around 35-41 in their favour going into the break. After the restart, Barça continued in the same vein with Faverani and Koponen on target to give the visitors a nine-point lead. Baskonia quickly responded with ten points without reply, but Barça turned things back around thanks to a Rice treble and a 2+1 from Tomic. By the end of the third, Barça were up 56-68, as the visitors began to taste victory. The hosts looked to be getting back in the game but two great baskets from Rice increased the gap to +14 for Barça, before the match eventually finished 84-92 in what was a fine day’s work for Bartzokas’ men.